Kids are going back to school, and summer is coming to an end. Summer break was fun, but age spots and skin damage aren’t. There are many options for lightening and exfoliating damaged summer skin. Here’s a few in office and at home skin care treatments that we recommend. VI Peel: It tackles skin problems at the cellular level rather than just burning the skin off. Thanks to the concerted actions of its many acids and vitamins, it will help erase fine lines and wrinkles, shrink enlarged pores and build collagen and elastin, which tighten skin. It is extremely effective in lightening hyper-pigmentation including melasma, the most difficult pigmentation issue to address. The VI Peel also provides excellent results for acne and post acne hyperpigmentation. A series of peels depends on the severity of the skin. Regular use of the VI Peel (2 to 4 peels per year), along with proper home care, reverses sun damage. The peel provides superior results for all skin types (Fitzpatrick 1-6). Microneedling: Microneedling can help patients who have are suffering with fine lines and skin texture issues after years of sun damage. Using multiple microscopic needles to penetrate the surface layers of skin, the Micropen creates very small wound patterns to break old collagen chains and trigger the healing process to smooth the appearance of wrinkles, scars and stretch marks. The vibrating hand piece encourages collagen production, allowing the body to begin healing immediately after the procedure with visible results in up to 4 weeks. Microdermabrasion with Complimentary Microbuff Cream: With an increase of dead skin cell accumulating during the summer, it is important to exfoliate your skin. 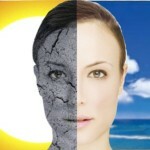 One of the main reasons your skin can look dull during the summer is because of dead skin cells. With this treatment you will receive a full Microdermabrasion treatment and will take a ESI Microbuff cream for at home care. Saturday Night Brightening Pads: A mini peel to be applied to the skin once a week at home – on a presoaked pad! Just swipe, wait for the tingle to settle and then move on with your routine while the exfoliants and powerful brighteners work into your skin. Fade discoloration and enjoy a perfect bright glow that gets better every week. Offering peel-like results any night of the week, Saturday Night Skin Brightener Pads are saturated with glycol acids and work as light exfoliator for all skin types. Glytone Clarifying Kit: Hyperpigmentation is a sign of premature aging of the skin which depends mainly on sun exposure and skin pigment. The best way to combat photo-aging is through sunscreen use, but a complete skincare regimen can help reduce the effects of sun damage. Hydroquinone is the only FDA approved agent for skin bleaching and thus correcting dark spots. This 6 step skin care kit will help prep, treat, and protect your skin from damage left over this summer. Vivier Advance Skin Lightning Serum: Experience the beauty of luminous skin. This silky 2-in-1 serum targets anti-aging and skin lightening at the same time. It’s uniquely formulated to lighten the appearance of sun damage, age spots, liver spots, freckles and melasma, while also smoothing fine lines wrinkles, and improving the overall evenness of skin tone. Elta MD Clear Tinted SPF: Clear SPF helps calm and protect sensitive skin types prone to breakouts, rosacea and discoloration. It contains niacinamide (vitamin B3), hyaluronic acid and lactic acid, ingredients that promote the appearance of healthy-looking skin. Very lightweight and silky, it may be worn with makeup or alone.